Recycle your old instax film cartridges and transform them into unique and simple frames. All you need is decorative washi tape, your favourite film and the empty instax film cartridge. Pick the photos you’d like to display and slide the instax photos into the bottom of each cartridge (one photo per cartridge). Cover the sides, front and back of the cartridges with your washi tape to give them a decorative look in whichever pattern or color you choose. This is perhaps one of the most fun and enjoyable ways to display your instax photos. Whether you're in a tiny room or a sprawling loft, any ceiling or wall space is a great place to hang a collection of treasured moments. 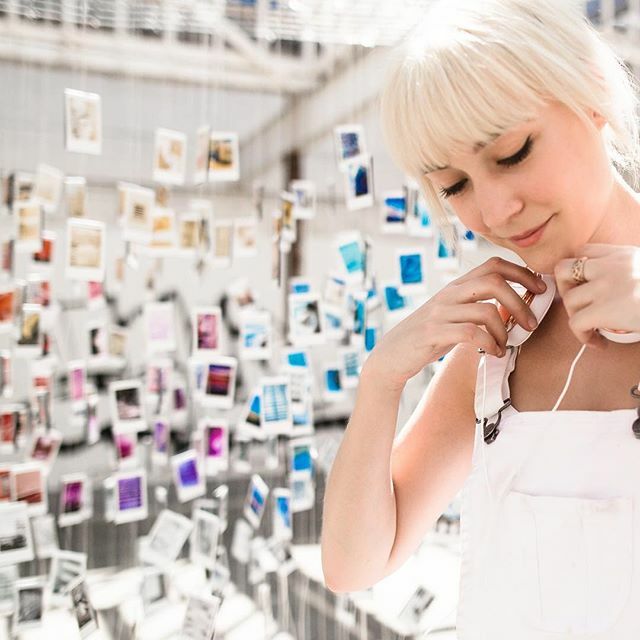 Select instax photos taken with loved ones, or use your imagination to put together a plethora of ordinary objects in your kaleidoscope display. Choose bright colors and clip them to clear string or twine hanging from your ceiling or across an empty wall space. Let instax film be your sidekick in the kitchen and help you get organised with meal plans. Capture all of your favourite and most popular dishes with your instax camera, and file the photos in a box alphabetically to help you find them every time you want to whip up one of your specialties. This could also be a great way for the kids to get involved in an instax project. Picking out what to wear in the morning seems to take forever; it gets messy and frustrating. Instax film can help you arrange your outfits together, find items easier and navigate through your closet by taking a photo of each outfit or accessory item. This easy tactic will make getting dressed in the morning quicker, leaving you feeling organised and on top of things. If a wedding, birthday or family reunion is coming up, instax film is great way to send special messages to close friends and family. Have your guests take a selfie or group photo of everyone attending the event, then sign the photo with a heartfelt message. Decorate your welcome sign to make the photos on your board pop out and give it a spirited look. Lastly, use your instax welcome sign to share unforgettable moments for years to come. With these simple and customisable steps, you can incorporate your most treasured instax photos into your everyday life and be extremely happy with the results.